but also from the viewpoint of lifestyle and riding scenario. Features for a more safe, more secure, and more comfortable ride that answer your “I wish I could haves” in your everyday use. Off to preschool we go! when one is hurried in the morning. Holiday: a great day for a ride! 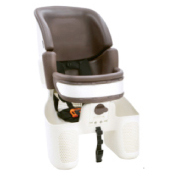 OGK made sure to achieve 90% or higher shock-absorbency, similar to helmets, to protect the child’s head from back to side even in the event of an overturn. 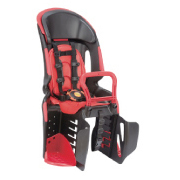 Using both helmet and wide headrest at the same time reduces shock by approximately 90% compared with when none are used. The child is trying to bend forward. 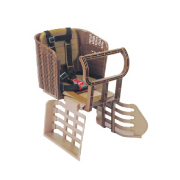 Are the child seat’s steps strong enough to support the child’s weight? 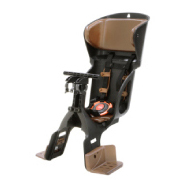 The position of the footrests can be adjusted in accordance with your child’s growth. 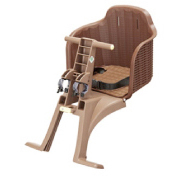 Adjustable up to 4 levels, they improve the ride stability as the child does not swing his/her legs. 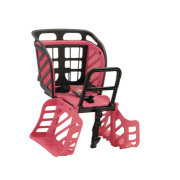 The footrests are designed with enough strength to keep their shape even in the event that a child uses them to climb to his/her seat. The child can’t help nodding offgetting worn out after all that playing! 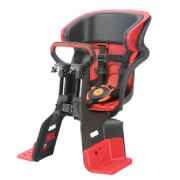 Reassuring since the seat belt tightly holds your child from the shoulder, waist, and crotch preventing him/her from slipping down during the ride. You can ride without worries even when your child falls asleep. 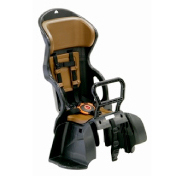 OGK’s selection of child seats and options for a more comfortable ride. in accordance with the child’s growth. 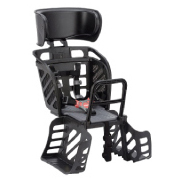 Headrest height is fixed and cannot be adjusted. 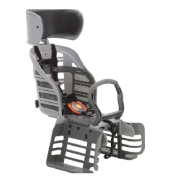 Footrest position is adjustable in accordance with the child’s growth. Footrest position is fixed and cannot be adjusted. 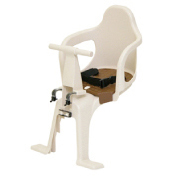 Pulling out the moving parts converts the seat into a basket.